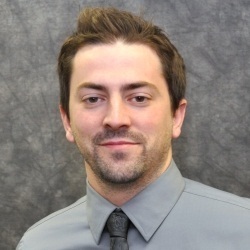 Chris began working for Aultman College in 2007. He chose Aultman College because they had established a simulation program that was creative, innovative, and used cutting edge technology. The program uses realistic situations to help train students in a safe learning environment. It was a chance not only to help students learn and become prepared for the challenge of working in health care but also an opportunity to learn and grow for himself. He also chose Aultman College because of the dedication the faculty and staff have towards the success of their students.